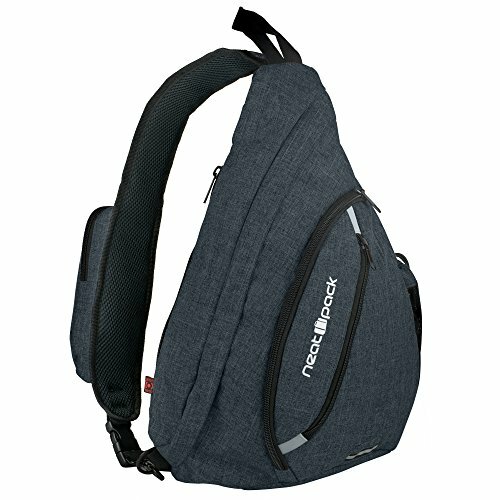 A fully lined main compartment for clothes, books, camera, medical / first aid supplies, shoes, & more, as well as a pocket that can fit a small tablet, iPad or laptop up to 12." A lined front zippered compartment with 3 elastic loops for quick, easy access to small items. Another compartment with pen sleeves, mesh zip pocket, credit card slots, & key clip/hook. An RFID blocking "hidden pocket" on the back of the pack to store valuables and prevent identity theft. A water bottle mesh pocket with adjustable loop. If you have any questions about this product by NeatPack, contact us by completing and submitting the form below. If you are looking for a specif part number, please include it with your message.